We’re ending our second season of our Friday Night Lights bicycle ride in style with a Halloween Edition ride this Friday and it’s going to be a doozy! With it being Devil’s Night (spoooooky!) we’re encouraging everyone to arrive in their Halloween costumes ready to ride the city as we haunt 3 establishments for treats. 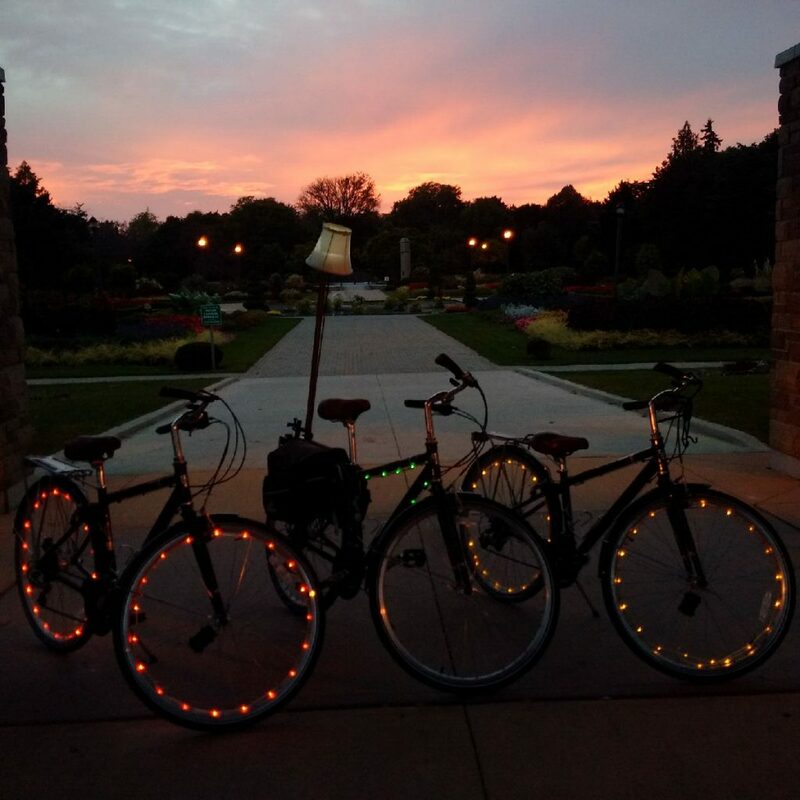 As always, we encourage guests to deck out their bikes in bright lights to light up the night. The lit up ride, which will have riders meeting at 7:30pm in Willistead Park before departing at 8:00pm. Our first stop will be Robbie’s Gourmet Sausage Company to enjoy the WindsorEats Sausage Party celebrating the opening of the saucisserie. Along with some award winning gourmet sausages, the WindsorEats Traveller will be on hand serving good, cold craft beer from Brew while the sounds of Motown fill the outdoors. The group will then ride to Rock Bottom Bar & Grill to enjoy some great pub food made from scratch and maybe try one of their 30 beers on tap. Thirdly, we’ll head over to The Willistead for their first ever Friday Night Lights visit. The popular Walkerville restaurant is known for their craft cocktails and tasty eats that stay true to their motto: farm to fork, nose to tail. We encourage riders to be active on social media using the #WindsorEats and #FollowTheLamp hashtags.